“Thank you also for sending the link…. There are not many bloggers that do. You’re top notch. You are a breath of fresh air when it comes to bloggers. working with EMB and look forward to when we can work with Erica again! Collaborating with Erica on our recent giveaway has been such a pleasure. Not only is she a dream to work with, the amount of traffic she helped bring our way totally exceeded expectations. Her knowledge, enthusiasm, and dedication truly make Everything Mom and Baby a fantastic resource! I want to thank Erica for her amazing cooperation, knowledge and expertise. My experience is much more then I ever expected, I mean it’s better then any ad that’s for sure. The best part is being able to make someone very happy when she receives the goods from carré jaune. I’m so delighted for her! Erica was great from beginning to end – very proactive and on top of the giveaway. Would highly recommend EM&B as a good platform. It was a real pleasure working with Erica at Everything Mom and Baby! She not only took the time to conduct a thorough review of our baby carrier, but she backed it up with solid knowledge about babywearing in general. Her breadth of knowledge about different kinds of carriers is impressive. She obviously loves babywearing, babies, and baby carriers and she brought this love to her review. We thank her for sharing her time and expertise. She is clearly passionate and dedicated to her role and she shines. We’re new and her passion helped spread the word about us to a lot of people. It was a great decision to team up with Everything Mom and Baby! We couldn’t be happier. Thanks again, Erica! Our Skin-to-Skin Kangaroo T-shirt and our online boutique Réserve Privée is well known from medical staff, pediatricians and nursing consultants but, as a small company (owned by a mother like Everything Mom and Baby), we can’t provide as much information on our products to all Canadian mothers through regular ads in magazines as we wish. Professional and honest blogs like Everything Mom and Baby is a plus for all mothers who want to know more about what’s new in the market and from small companies with great new products. Many thanks to Erica for her vision – and mission – and for choosing to write about great new product everyone wants to know about! That’s the key of her success! We collaborated with Erica on a giveaway that she ran with complete professionalism and ease. Erica is truly a pleasure to work with. It’s easy to see why Erica’s site is doing so well – the wonderful person that she is shines through and people value her opinion greatly. I participated in a giveaway with Everything Mom and Baby and I much say it was a great experience! Not only did it drive traffic to my website, fan page and Twitter but it also brought me sales. Thanks again! Highly recommended!! We are so thankful for the review, the giveaway, and what great exposure we received from it all. Erica Ashmore is a real gem! Thanks a million! 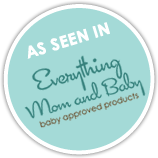 Thank you “Everything Mom and Baby” for reviewing our products and for sponsoring the giveaway. We hope your fans enjoyed finding out more about myMonkeymoo! We appreciate the time you put into this and we are very happy with the extra exposure we gained from Everything Mom and Baby. Thank you again! Erica Ashmore is a treasure! As a first-time mom, Erica’s guidance to me was invaluable. Not only does she base her advice on her real-life experiences, she keeps up with all the latest and greatest (and healthy!) options for caring for a new baby. She answered all of my questions and concerns with sound advice and humour and was a real bright light for me while navigating the confusing world of baby items. I highly recommend Erica as a trusted source of advice and support! As a small business owner and mom-entrepreneur, it has been such a pleasure working with Erica Ashmore. Not only did her blog land us new wholesale accounts, our website traffic increased tremendously after her lulujo product giveaway. Thanks so much, Erica, for blogging about lulujo. We love working with you! 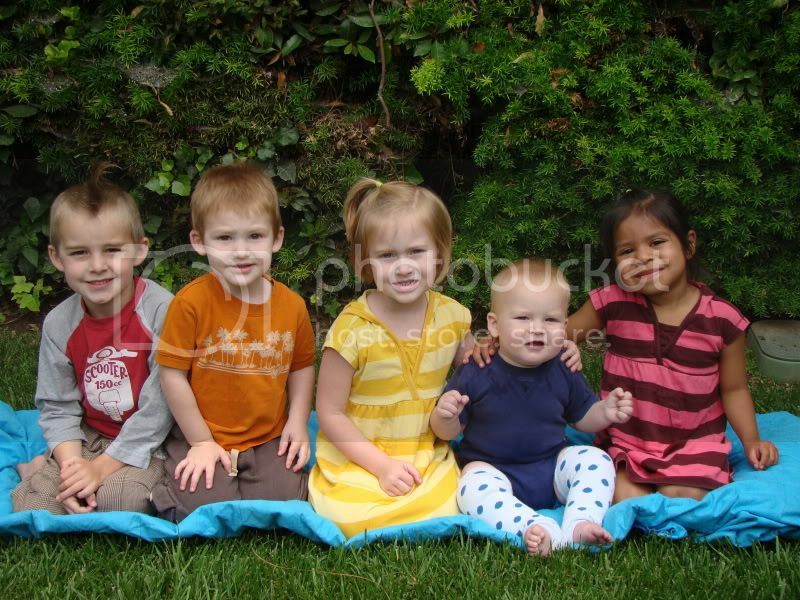 Erica aka Mama Ash is taking the baby world by storm with her great attitude & her exuberant enthusiasm for a good deal! Let Everything Mom and Baby guide you through the grueling process of picking the BEST for your baby! Erica knows it all and tells it all and has great contests too! HUGS from PAXbaby! *happy babywearing* peace, Jillian ♥ happy mom of 5 busy kids! We love working with Erica and Everything Mom and Baby. She takes the time to really put a product to the test and writes very thoughtful reviews. Her readers have become regular visitors of EcoMom.com so I know we are working with someone who has an audience that cares about the same things we do — great products that are safe to put in, on, and around little ones and growing families. I know we will continue to work with Erica in the future. Thanks for your email. Great thanks for featuring our Organic Cotton summer feature on your blog, it looks great. That is great to hear that you got a great response for the giveaway and it is always great getting feedback like that. I have arranged for the winners prize to be sent to her, so she should receive it (gift wrapped with a congratulations card) in the next few weeks. Thanks Erica and I look forward to working with you again soon.